How to avoid the goal setting trap and move out of the failure zone. Yes, it is that time of the year where you are going to be bombarded with numerous emails, messages, ads and social media posts about goal setting. I am a fan of setting achievable goals, but I have realised that goal setting is an individual thing. You can only use someone else’s method as a guide to goal setting and not as the ultimate model for your life. If you want to set achievable goals you should match your goals to what is happening in your life right now. 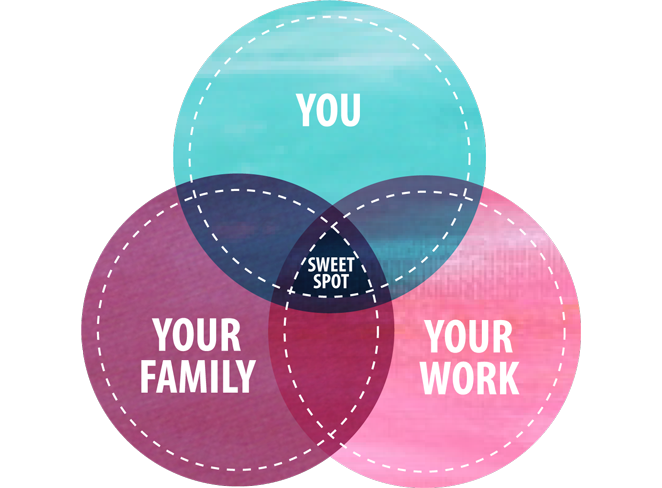 The diagram above shows you how to achieve your SWEET SPOT. One of the things I have learnt is to set my goals in line with what is currently happening in the key areas of my life. For example, if I want to set a goal for my business, I have to take into account my family life. I am a soccer mum to two boys and that takes priority over the weekends – most times. I must also take into account my social life, spiritual life, health, lifestyle and other aspects of who I am. Planning for business in isolation is a recipe for disaster, every area of our lives matter. How do you set your goals? Comment in the box below, I will love to read your contribution. I am not a long-term planner, even though we have been told to plan for 5 – 10 years ahead. I plan on a cycle of 90 days, and this plan has served me well over the years. Yes, I have long-term goals, but I realise long-term goals cannot become a reality if short-term goals are not taken care of. So rather than focus on my five-year plan, I allow my 90 days plan to guide my actions and feed my long-term plans. What do you want to accomplish with your passion in the next 90 days? How will that goal impact your health, e.g. your sleeping pattern? Do you have to take a closer look at your social life for the next three months to accomplish your goal? Do you have to find a babysitter for your little one for two hours a day, so you have more time to work on your plan? Should you reduce your expenses so that you can save up for your new venture? If you plan with these other areas of your life in mind, you are bound to achieve your goals and be confident to take on more tasks. I want to challenge you to consider setting balanced 90 days goals for at least one quarter of the year. Take the pressure off yourself and take small steady steps. Once you accomplish your first 90 days goals, you will be in a better position to set more longer-term goals – maybe 180 days and then annual goals too. Reach out to me if you need help to set meaningful goals that will help you maximise the potential of your passion. If you are struggling to take your first step or want to revive your existing business/concept with new ideas, I can help you find the right path with my idea catalyst sensors. I want you to excel with your passion, and the best way forward is to find a system that works for you and not against you. I can help you find the way that works so you can start flying in 2018 and beyond. Click here to find out more about the Navigator Session.